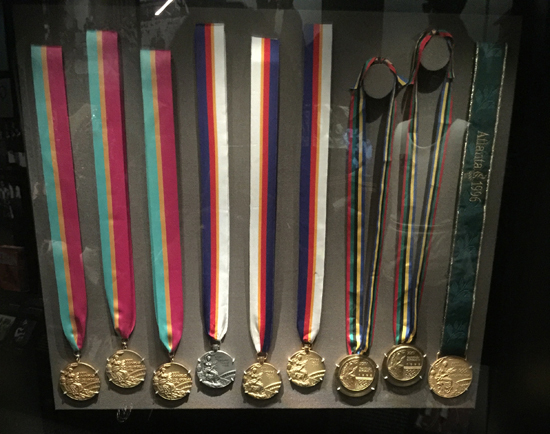 Texas Southern’s Rich History Showcased at National Museum of African American History and Culture in Washington, D.C. 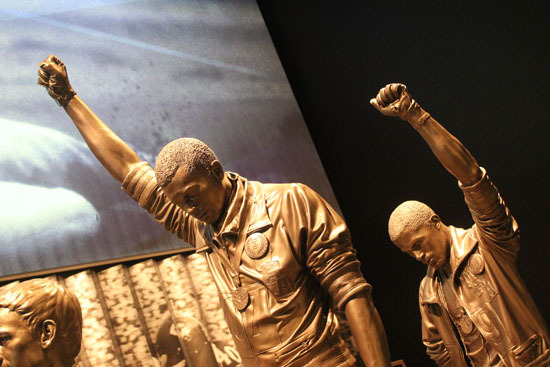 This past Saturday, September 24, the new Smithsonian National Museum of African American History and Culture (NMAAHC) was officially dedicated as the latest addition to the National Mall in Washington, D.C., and Houston’s own Texas Southern University (TSU) is very well represented as African American history is chronicled in the new Smithsonian institution. The new museum features a painting from John Biggers, founder of TSU’s Art Department; sketches from TSU alumnus Kermit Oliver; images from TSU alumnus and University Photographer Earlie Hudnall Jr.; and a display featuring the award winning, internationally acclaimed TSU Debate Team. The TSU Debate Team display carries a picture taken in the fifties of the team with the Freeman. It includes a description of the team’s activities and a reference to the team’s role in the training of the actors in the movie, “The Great Debaters,” produced by Grammy winning actor Denzel Washington. Also on display is the trophy won by TSU alumnae Barbara Jordan (deceased) and TSU alumnus and former TSU Thurgood Marshall School of Law professor Otis King (deceased) when they integrated forensics in the South, at Baylor University in 1957. In addition to the exhibitors, TSU alumnus LaStarsha McGarrity, who interned with the Museum for 8 months prior to its opening, worked to restore several exhibits including cleaning the silver dresses worn by American R&B/pop vocal group En Vogue in their 1991 video My Lovin’ (You’re Never Gonna Get It); working with Harriet Tubman’s shawl; as well as handling Nat Turner’s bible. Dr. Alvia Wardlaw, Director of the TSU Museum, serves on the NMAAHC advisory board. 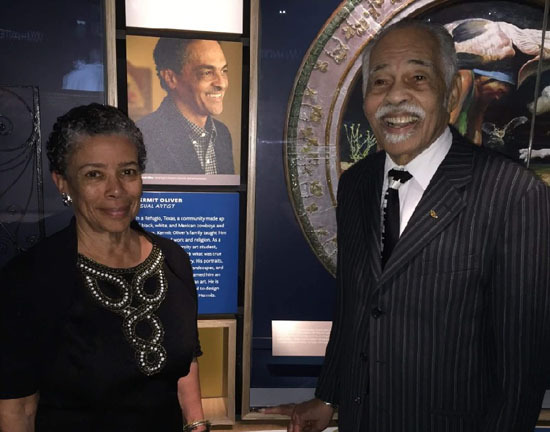 Wardlaw, along with Dr. Thomas F. Freeman, 96, TSU’s world renowned Debate Team Coach Emeritus, participated in a private opening ceremony for the NMAAHC on September 17. Yolanda Adams, another prominent TSU alumnae, performed at the gathering and musical prelude on September 24. Mickey Leland, the late Congressman and TSU alumnus, was passionate about creating a National Museum of African American History and Culture and first introduced a bill calling for a national museum in 1986. With a theme of, “A People’s Journey-A-Nation’s Story,” the NMAAHC was officially dedicated by President Barack Obama this past Saturday, as he emotionally shared the importance of this museum to the landscape and history of America. President Obama was joined by First Lady Michelle Obama and former First Lady Laura Bush and former President George W. Bush at the historic event. It was former President Bush, who in 2003, signed into law a bill to move forward with the building of the NMAAHC on the National Mall, and construction broke ground in 2012. 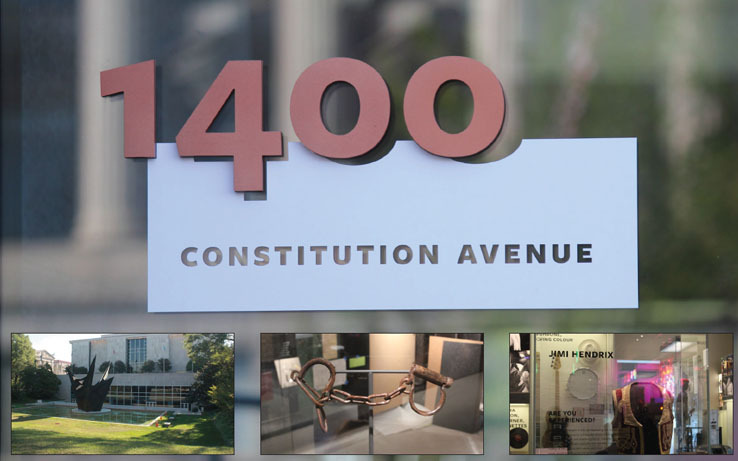 “This museum tells the truth that a country founded on the promise of liberty held millions in chains, that the price of our union was America’s original sin,” said former President Bush. After all the speeches were concluded, President Obama and the First Lady were joined by Ruth Bonner, the 99-year-old daughter of a former Mississippi slave, to help open the NMAAHC by ringing a 500-pound bell from the First Baptist Church in Williamsburg, Virginia, which was founded by slaves and free Blacks in 1776. Among those in attendance and participating in the historic event included former President Bill Clinton, Chief Justice John Roberts, Vice President Joe Biden, House Speaker Paul Ryan, former Secretary of State Colin Powell, actor Will Smith, media-mogul Oprah Winfrey, songstress Patti LaBelle, Stevie Wonder, Angela Bassett, an acapella jazz choir from Howard University and many more. Texas Southern University (TSU) was also in attendance and participated in the weekend activities leading up to the dedication on Saturday. Dr. Freeman and his wife and daughter, Clarice and Dr. Carlotta Freeman, were in attendance, along with current TSU Debate Team Coach Dr. Gloria Batiste-Roberts, Dr. Wardlaw and a group of TSU students.